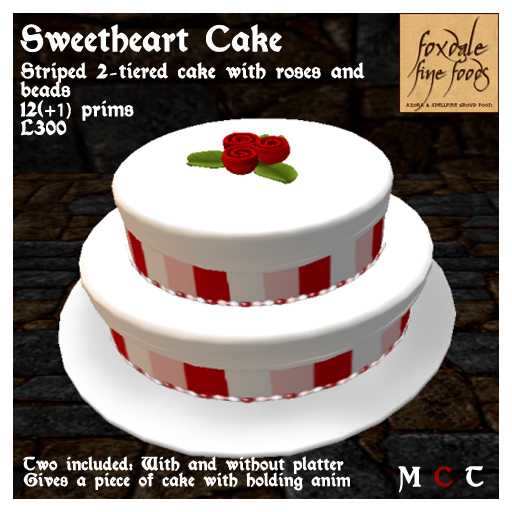 Want some cake to celebrate Valentine’s with your special sweetheart? Or just to stuff your face with in an effort to forget your loneliness? 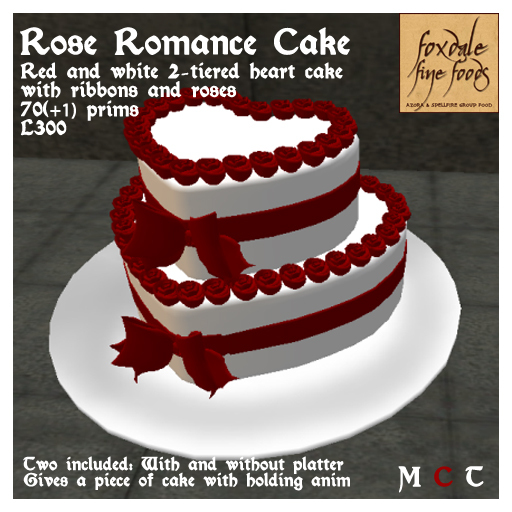 😀 I’ve released two new non-metered cakes: Rose Romance and Sweetheart. Both give a piece of cake with a holding animation. Enjoy!